Behold, the largest great white shark your eyes might ever see. Divers from One Ocean Diving and Research recently came across this beautiful beast off the coast of Oahu in Hawaii, The Associated Press reports. 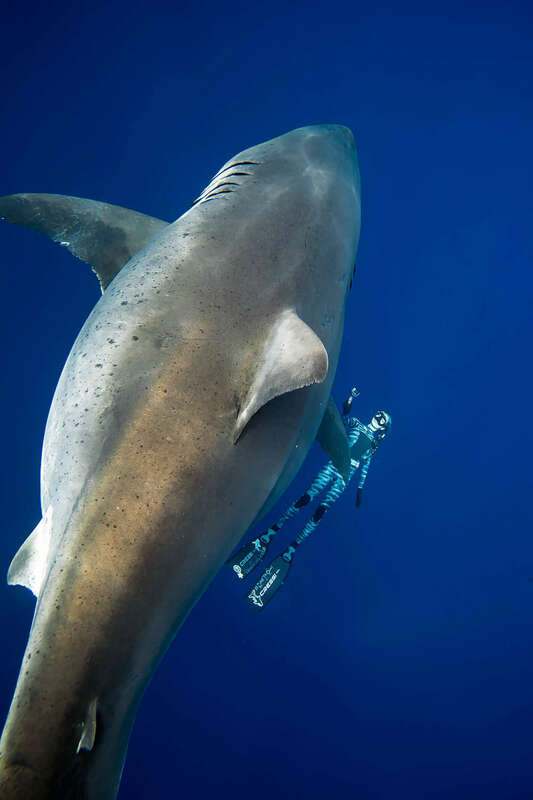 Ocean Ramsey and Juan Oliphant spotted the shark on January 15, 2019, not far from the carcass of a dead sperm whale, which is believed to have attracted the shark along with multiple tiger sharks. 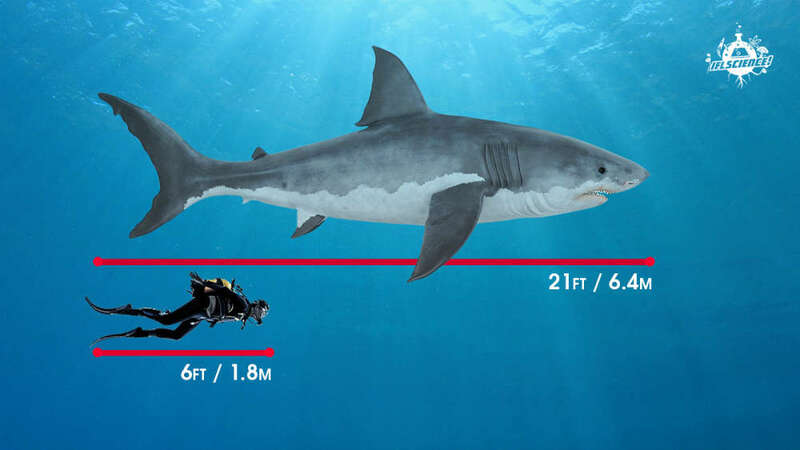 Based on the animal's distinctive size and markings, they believe the shark is a well-known individual called “Deep Blue”, a notoriously large female great white that's estimated to be 6.1 to 6.4 meters (20 to 21 feet) from nose to tail. For now, that ID remains unconfirmed, but the pair are sifting through databases hoping to identify the individual and confirm their suspicions. “She looks like she may be pregnant: She’s shockingly wide,” Ramsey told The Star-Advertiser. “I’m without words; it’s heartwarming; she’s probably the most gentle great white I’ve ever seen," she added. Despite her monstrous size, Ramsey and Oliphant hope to use their peaceful encounter with the shark to shake off the negative post-Jaws public image of sharks, especially great whites. Writing in an Instagram post, Oliphant explains: “I try hard to replace fear with scientific facts and encourage a healthy level of respect for sharks as #ApexPredatorsNotMonsters but not puppies... They are sharks and I love and respect them for what they are." He’s not wrong, there. There are somewhere around five fatalities from shark attacks worldwide in any given average year. As the often touted (although dubious sourced) statistic says, falling coconuts kill more people than that. For comparison's sake, humans kill approximately 100 million to 273 million sharks every year.